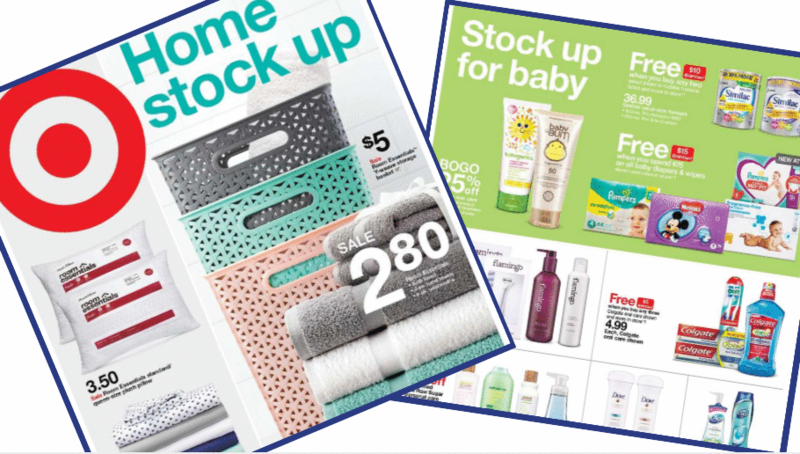 Here are the deals from the new Target ad starting 3/24! Get a stock-up price on Pampers diapers, save on a bunch of different decor items, and more. Room Essentials Soap Pump or Dish, $2.80 ea. Threshold Stacking Sling Chair, $18 ea. Makes it $56.44 for everything or $18.81 per pack!